Punched but never played. Like New Condition. 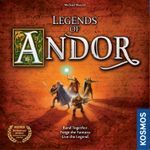 Legends of Andor: New Heroes 5 and 6 player expansion.